Collage. Pencil, colour pencil and watercolour on drawing paper. Photos © Peter Abraham. 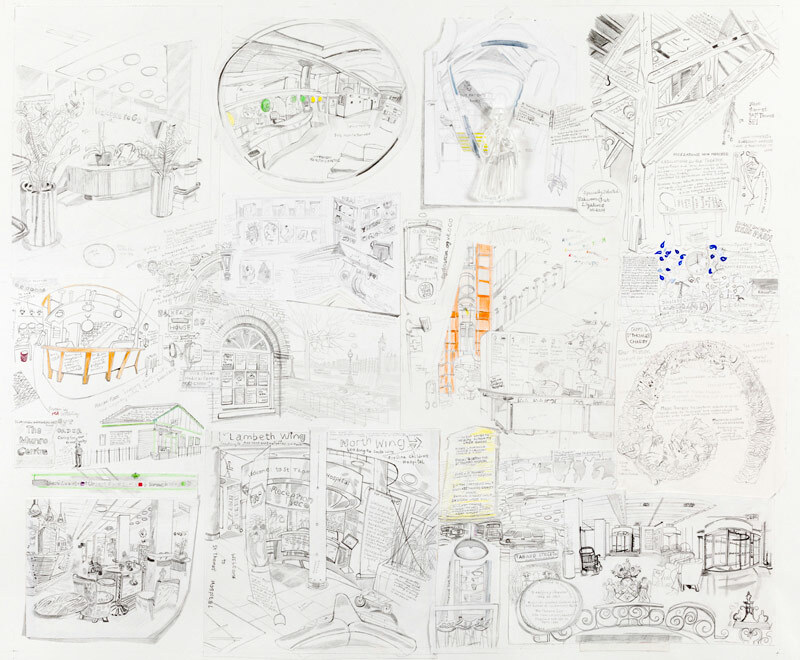 Reception is made up of drawings created on site in the public domain, complete with comments expressed by hospital staff and visitors. Informal interviews with GSTT Charity employees directly inspired the work. 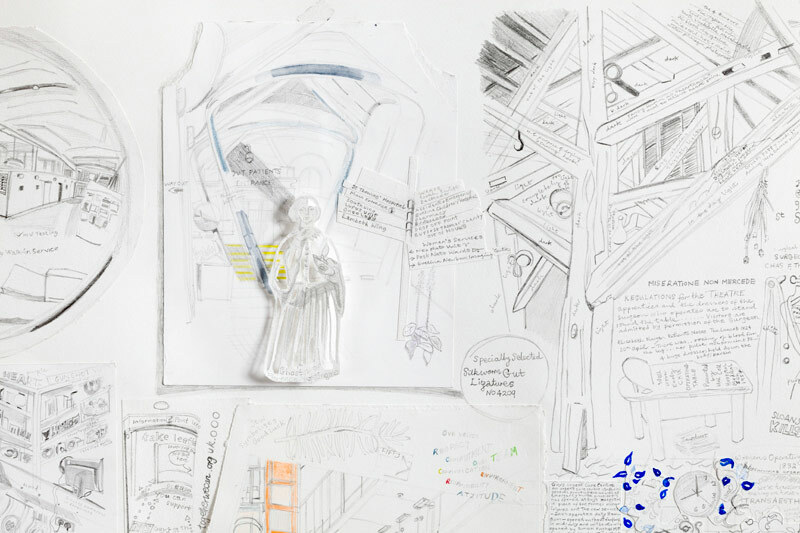 The collage is snapshot of how all the different locations appeared at the time they were drawn, with elements of historic and paranormal relevance woven in. ©Sophie Horton.